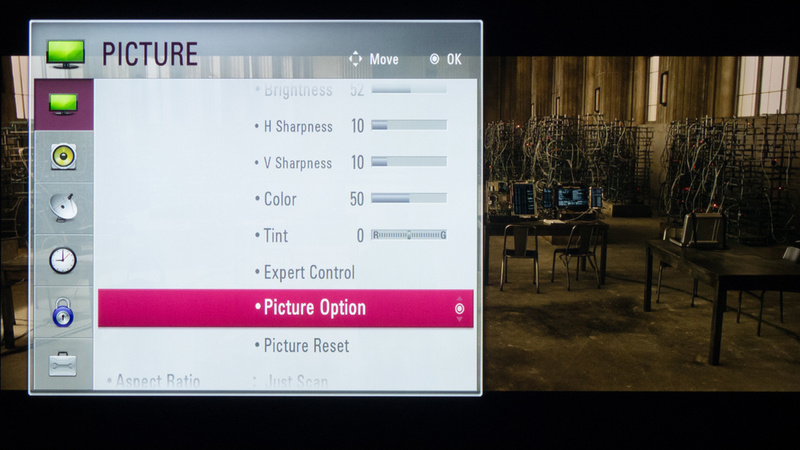 We used the Expert1 picture mode for our calibration of the LG LB5900 LED TV. The brightness setting was off by a few points. 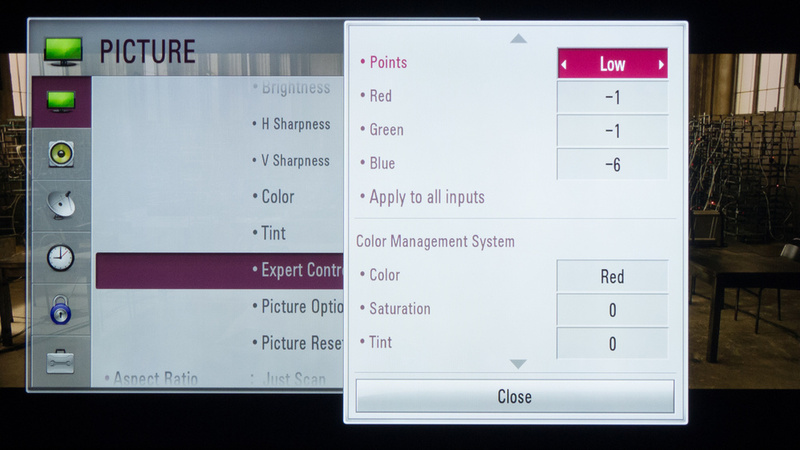 If you want to change the luminosity of the screen, set the Backlight setting to your preference. In Picture Option, we disabled everything. 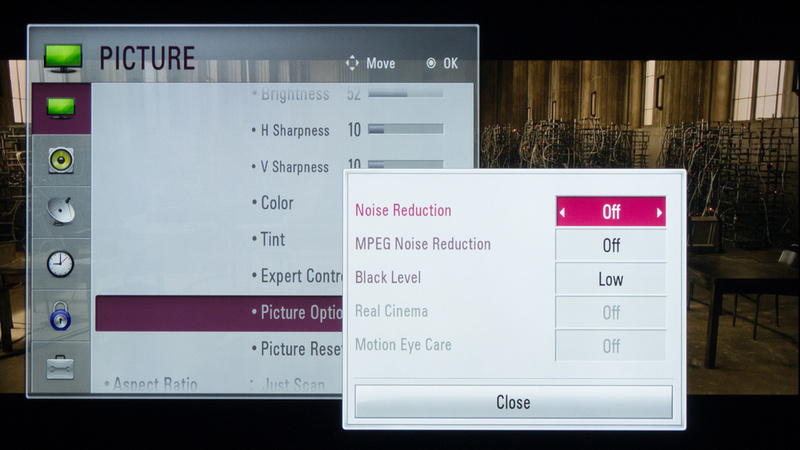 You will, however, want both noise reduction features if you plan on watching low-quality content like cable. In Expert Controls, we also turned off Dynamic Contrast because it is a software only feature that automatically modifies and accentuates contrast of the picture, resulting in crushing blacks details. 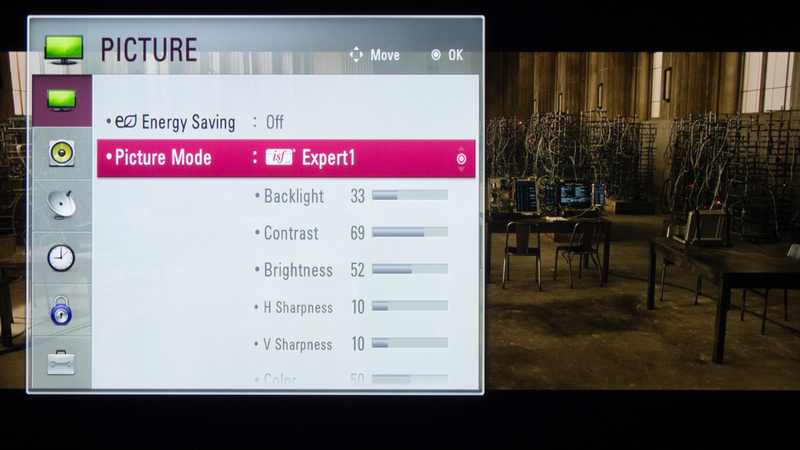 Edge Enhancer is a good option to enable for cable TV shows. We calibrated the grayscale using two points. It was a bit far by default, but nothing that couldn't be fixed.